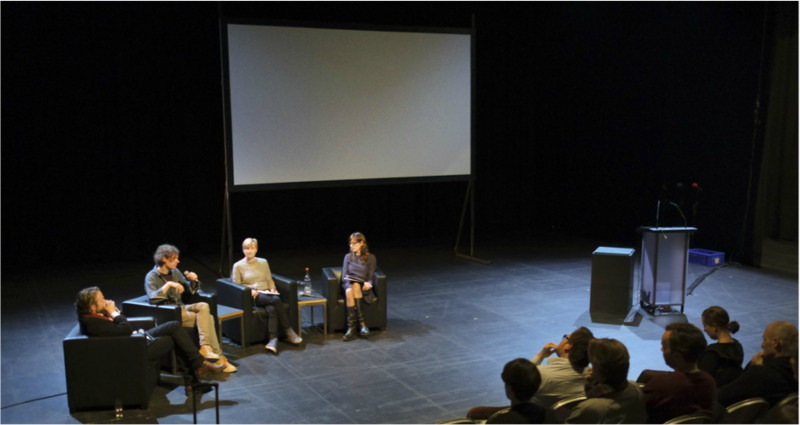 ​Symposium, conceived and directed by Anna Bromley and Michael Fesca, in conversation with Nele Wulff. In the frame of the exhibition "Illness as metaphor" (Kunsthaus Hamburg), curated by Britta Peters. With contributions by Jan Verwoert, Kathrin Busch, Kai van Eikels, Helga Wretman, Monster Truck, Marc Schmidt, Thomas Bock, Christina Buck, Hans-Christian Dany, Eva Illouz, Michaela Melián, Ulf Aminde, and Karin Michalski. ​When the WHO passed its constitution in 1946, it defined health as a state of complete physical, mental and social wellbeing, and not just as the absence of illness or affliction. In an age in which the objectification of the body and psyche had already been carried to completion by the disciplines of medicine and science, this definition was remarkably farsighted. Today, on the other hand, health seems to designate processes in which the body and soul are to be “produced” in such a way as to be immune to statistically calculated health hazards. The associated exercises can be experienced as pleasurable, but they also represent two-edged acts in which bodies are managed primarily as potentials. ​ Here a person develops a relationship of mistrust with his own body – a relationship persistently aimed at successful therapy. Whatever you do, don’t be flabby, faltering, tense, inhibited, or, worst of all, have bad posture. ​Against this background, the Therapeutic Alliances symposium will be devoted to historical and current images of artists. Are the days past in which the melancholy, consumptive, hysterical or hypochondriacal are considered artistically productive? Or, conversely: if creativity has become the norm, can depressive disorders, which are on the rise all over the world, be interpreted as healthy cramps?